He’s the one, the only - Zippy the Zebra! 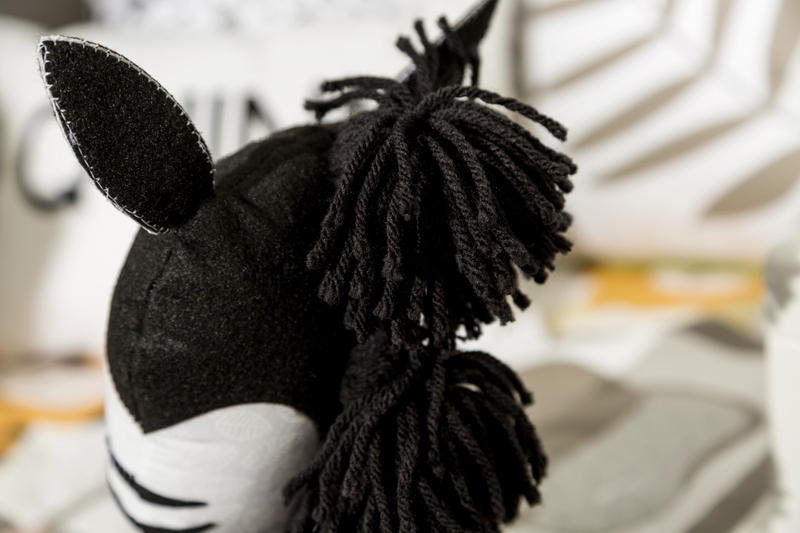 He's an adorable part of our Toddler Bedroom Decor scene and thanks to all of you fabulous crafters at our Mountain Make-a-Thon, our little Zebra friend now has a name all his own! 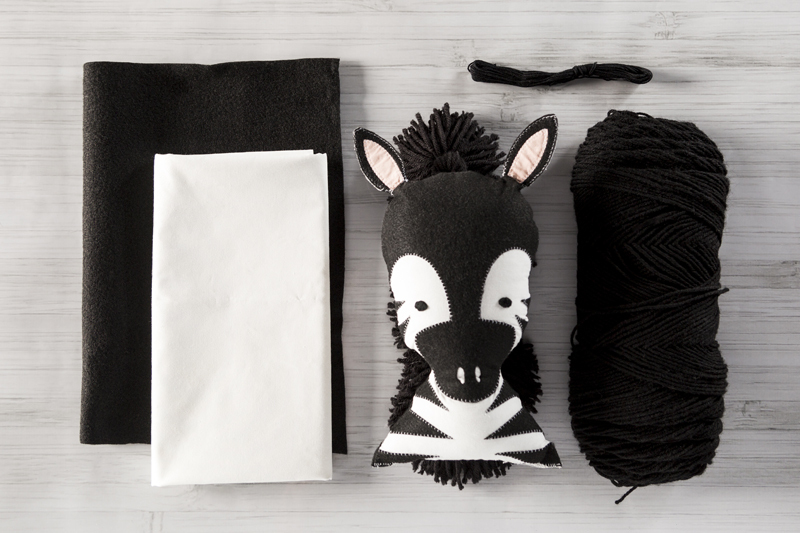 I am so excited to share with you how I made our friend here with this stuffed zebra tutorial- so let’s get started! You can find the Design Space file here along with some added instructions on how to make our little friend. Pin this now to save for later and share with your friends! The first step is to prepare your materials. Take the HeatnBond and apply it to the back of your black felt and pink fabric. Please follow the manufacturer's guide on how to apply HeatnBond since this may vary. 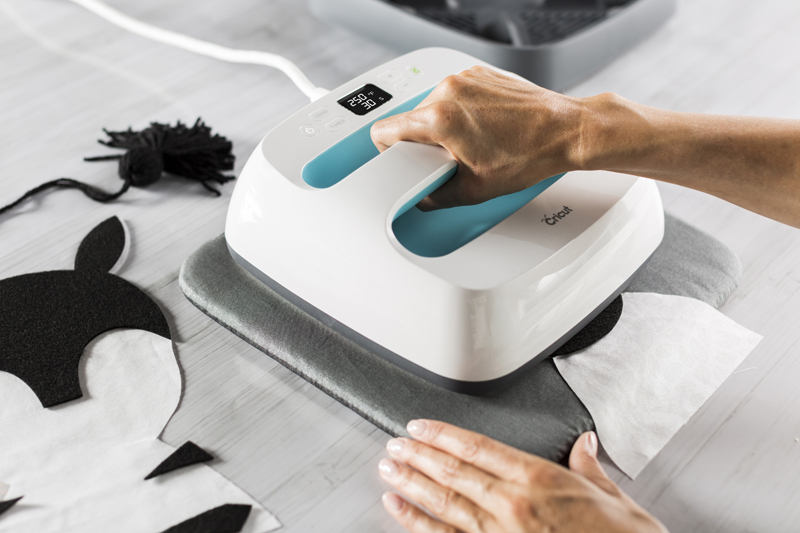 Before you put the felt with HeatnBond on your Fabric Mat be sure to remove the protective paper sheet from the HeatnBond. I can’t tell you how many mats I ruined before I realized all I had to do was remove that protective sheet BEFORE I cut my material! Sometimes I amaze myself. I recommend using the rotary blade on all your materials. When placing your white fabric down, be sure to place it pretty side down. The zebra’s eyes will be drawn on with the Cricut Fabric Marker and we want to be sure that the markings are on the inside. Don’t worry, when it comes time to stitch you’ll still be able to see the marks! To cut the felt out, place the side with HeatnBond to the mat. 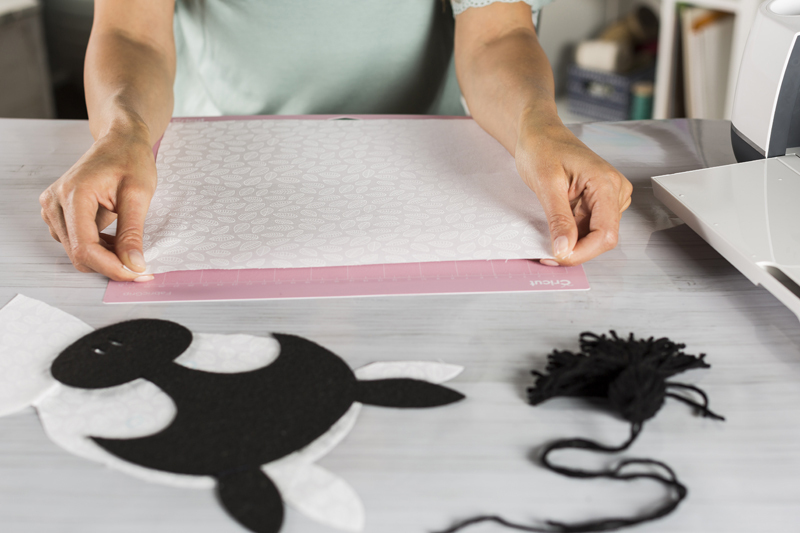 Not only does this cut out beautifully but it also helps to keep your mat clean from all the felt fibers. Double bonus! Repeat this technique with your pink fabric piece. Now that you have all your pieces cut, let's press them all together. You’ll need your Cricut EasyPress. For the stripes on the body, I started at the bottom by matching the corners and then working my way up to the neck. Don’t forget the pink ear inserts, but they only go in the front with the nose. Repeat these steps for the other side and then press it all together. 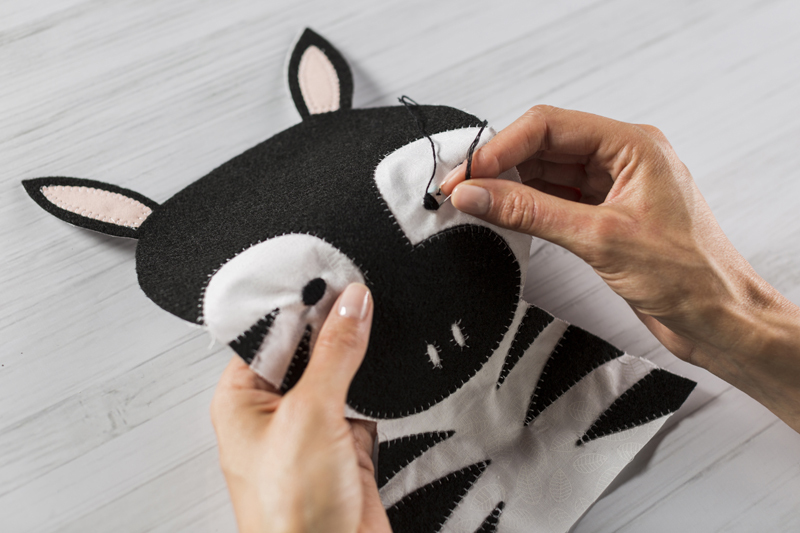 Machine sew a blanket stitch using white thread around each black stripe, face, and nose, as well as the inside of each ear on the pink fabric pieces. I like using an edge stitch foot, but feel free to use whatever method is easiest and most comfortable for you. 5: Tassels, Tassels and More Tassels! 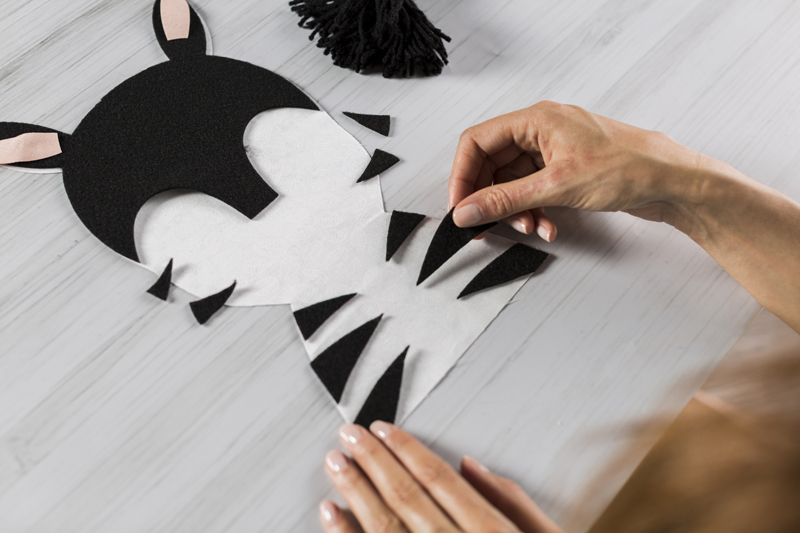 It’s time to start giving our little zebra some dimension. Grab your supplies for Zippy’s tassel mane. There are a lot of steps that go into this but once you make one tassel, the rest will be a breeze! I made 5 tassels total, but you can make as many or as few as you’d like. 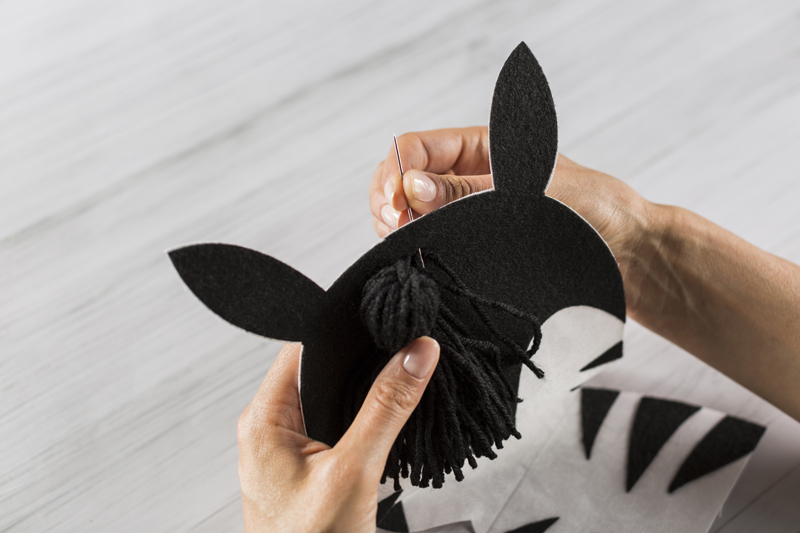 Start wrapping the black yarn around your tassel guide until you have a thick bunch. My tassel guide is about 5 ½” tall. Slide the loops of yarn off of the guide and cut the ends so that you have a bunch of yarn pieces that are all the same length. Take one of the pieces of yarn and place it beneath the center point of the other pieces of yarn, kind of like an upside-down “t”. Cut a 12” length of yarn and slide a wooden bead onto the center of it. Place the threaded bead just below the center tie beneath the yarn bunch. Grab the arms of the “t” and tie a tight, secure knot around the middle. Be sure that the bead is completely surrounded by the strips of yarn. No wood should be showing! Flip the top half of the yarn bunch down over the bead. It should start to look like a tassel at this point. Snip another strand of yarn about 12” and make a slip-knot on one end. Loop the tie around the entire bunch, just below the bead, and tie a tight and secure knot. Then wrap the free ends of the tie around the neck of the tassel several times and tie it securely. Trim off the ragged ends at the bottom of the tassel to make it beautiful and even! *Be sure not to trim the trailing ties at the top of the tassel that the bead is attached to. You will use these ends later to attach to the zebra’s head. Once you have all your tassels made, it’s now time to attach the tassels to the back of your zebra for the mane. Thread your needle eye with one end of the trailing tassel tie. No matter how large your needle eye is, it can be challenging to thread yarn. One thing I do is place a bit of masking tape on the end of the yarn to help guide it through the eye of the needle. I love this method and it definitely saves my mouth from all the yarn fibers. Yuk! Repeat these steps for the second strand. Once both strings of yarn are threaded to the inside, flip your Zebra over and tie a secure knot. Trim off excess. Measure down an equal distance-I chose to measure down 2”- and repeat these steps until each tassel is attached to form a beautiful, straight and super funky mane! Thread your needle with 3 strands of black embroidery floss for just the right amount of thickness and dimension. Hand stitch one eye by following the blue oval markings. Repeat steps for the second eye. Place right sides together and pin in place avoiding the ears. Note: This little guy’s ears are quite tiny and were far too challenging for me to flip inside out. So instead, I skipped sewing around the ears and just stitched right up to the ear. This may feel strange at first since you will start and stop often, but it really made flipping him right side out about a million times more enjoyable! Start sewing at the crown of his head on the inside edge of one of the ears and machine sew until you reach the second ear. Backstitch and snip. Next, move to the other side of the ear and begin sewing once more. Sew all the way down till you reach the bottom. Repeat on the opposite side. 8: Turn & Flip. Stuff & Enjoy! Flip Zippy the Zebra right side out by poking out each corner till he’s nice and sharp, smoothing each rounded edge and popping those flat little ears out. 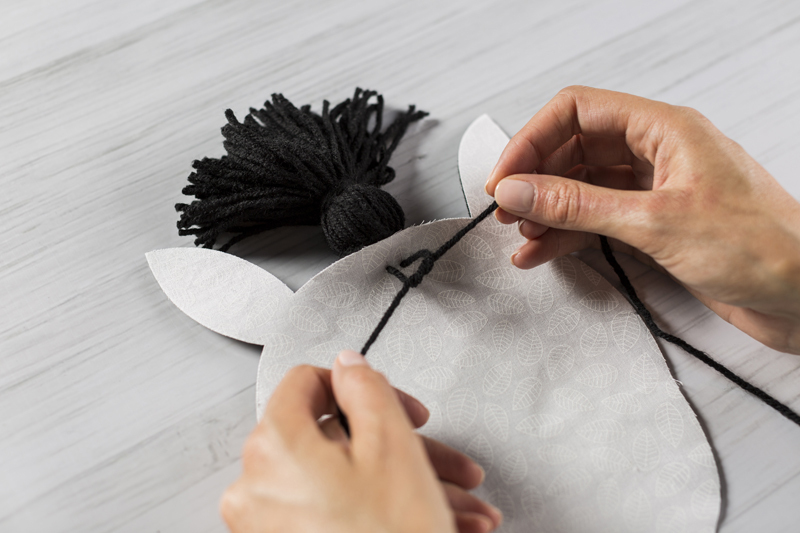 Sew around each ear with a blanket stitch to seal them closed. Now stuff this little mammal’s body till he’s practically bursting. I love stiff stuffed animals. I feel like they keep their shape better, however, you can stuff him as much or as little as you would like. Blanket stitch the bottom edge to seal the deal. 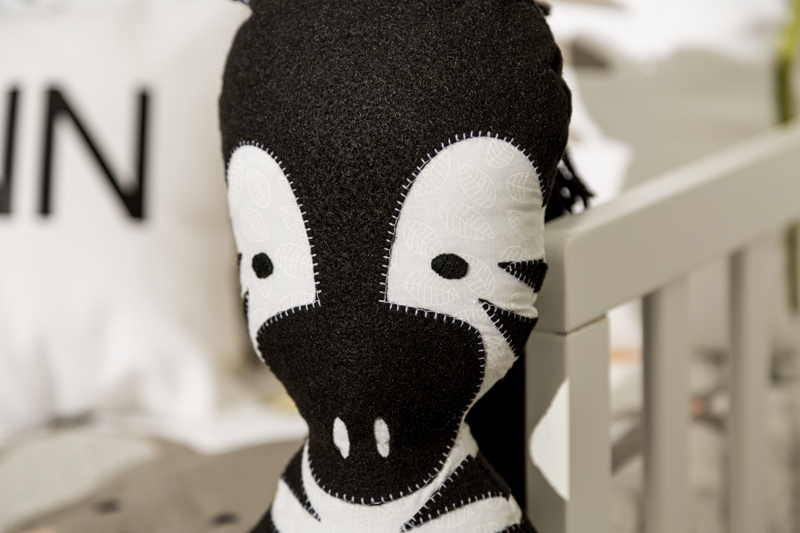 And now you have a Zebra stuffy all your own! I hope that this cutie will bring your little one just as much joy as he has brought me! Don’t forget to tag us in your future creations with #CricutMade!